There are many reasons why you might need to regrout your bathroom tile. The installer might have done a poor job during installation. Your grout might be failing due to old age or overuse. Or, perhaps you are simply interested in regrouting it for a different look. Whatever your reason, regrouting your bathroom tile is easier than it looks. Primarily, mildew and other factors can do a great deal of damage to grout over time. So, if your bathroom tile is ready to be regrouted, follow these tips on how to tackle the job. The new year has begun and the holiday decorations are slowly coming down. Although, with little work, your holiday decorations can transform beautifully into wintertime décor, which can last throughout the season. For instance, neutral metallics, natural elements, and snow-inspired trinkets can help you create stunning after Christmas décor. This year, decorating your table, mantle, and the front door is a breeze. As the new year begins, many people are writing down projects and goals they want to accomplish for the year. One of those goals may be to get started on your home renovations and updates. When it comes to giving your kitchen a face lift, painting kitchen cabinets a new color can be an easy and affordable way to approach the project. Whether you want to give your cabinets a faux finish or simply freshen up the look, here are some tips to remember when painting your kitchen cabinets. Every holiday celebration needs seasonal decorations to make the home feel cozy and festive, as well as raise your holiday spirits. Stringing up Christmas lights and setting up the Christmas tree are just a few ways to boost morale and create lasting family memories. Luckily, it doesn’t have to cost a fortune to make your house look like a Macy’s department store during the holidays. 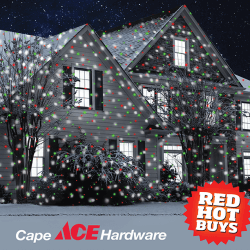 Our holiday decorations at Cape Ace will help you to capture the feeling of a Winter Wonderland that is sure to leave you ‘merry and oh so bright’. 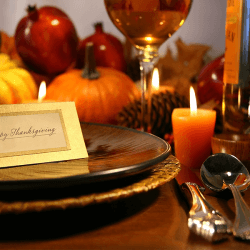 From the roasted turkey to the tasty pies, Thanksgiving is a lovely holiday that brings friends and family together. When preparing for the holiday food, don’t forget to choose the right decorations for the holiday table. There are many DIY options to help you create the perfect setup. You will not only have a beautiful setting for the meal, but you are sure to have fun in the process! Read on to see the many examples you can use to create a visually stunning holiday table. When painting furniture or rooms of your home, you may be wondering what kind of paint to use. Most people do not have vast painting experience so the average home owner has a minimal understanding when choosing a paint type for a particular project. There are various formats of paint to pick from and you want to be sure you choose the right option for your project. Below is a small guide on paint types and how they can be used in the home. 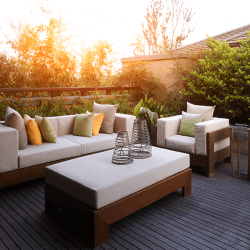 You should know that you do not have to start with a complete overhaul of your backyard deck or patio to transform it. Just, choose a place to start and go from there, such as the selection of the furniture, the lights or the amenities on the deck. By upgrading or changing one thing at a time, you can slowly see your deck transform into something spectacular. We all know that feeling of dreading packing for a trip. Especially, packing and preparing for a day beach trip. There’s just far too many items to remember, not to mention, once you arrive you have to haul everything all the way to the shore. And, more often than not, you bring too much stuff, forgot to bring something, or an item gets damaged by the sand or surf. All in all, making a trip to the beach can be a frustrating experience. So, here a few creative and inexpensive beach tips to get you through that next trip this summer. If you’ve ever had the opportunity to go camping (and we hope you have), you understand how peaceful and relaxing the experience can be. There is nothing like finding a quiet place to unwind, spending quality time with family and pets, stargazing, and wandering in nature. And as a matter of fact, Maryland has a plethora of beautiful campsites for all of your summer camping adventures. Whether you choose to bring an RV or you’re committed to pitching a tent and sleeping outdoors, there is a park that is perfect for you. 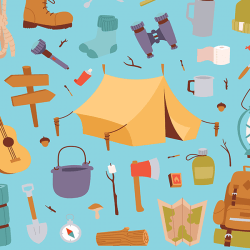 So, before you head out to live off the grid for a few days, make sure you’ve picked the right location and thrown in the essentials. If you are in the process of putting together your first dream garage, it can be both exciting and overwhelming. The garage is your sanctuary and the original setting in which your visions will transform into reality. But, with hundreds of tools and accessories on the market today, where do you even begin? For starters, it’s important to make sure you that you don’t skimp on the must-have items, especially safety gear. 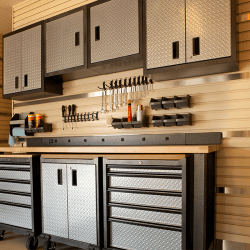 So, to get you off on the right foot here’s a beginners list of the latest and greatest tools every garage should have.